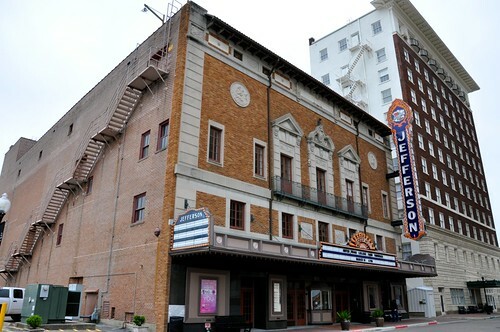 Built in 1927 and reopened in 2003 the Jefferson Theatre has been through some rough times. But now, as part of the Beaumont Civic Center Complex, things are movin’ on up for this classic theater. A real, live vaudeville show in an authentic vintage theatre? Yep! 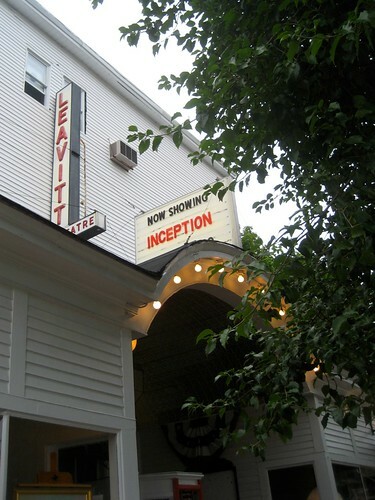 It’s happening for real from June 9-12 at the beautiful reopened Broadway Theatre in Pitman, NJ. What a lovely way to step back in time while stepping out for the evening! 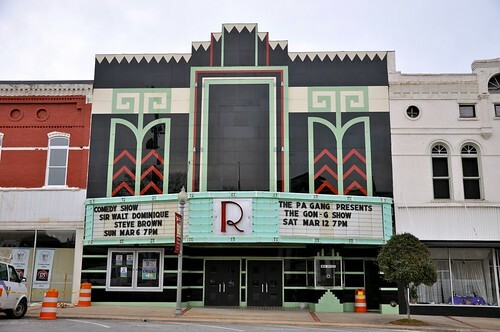 Ritz Theatre Downtown Talladega AL – an Art Deco Delight! Isn’t this just a gorgeous art deco theatre facade? TOTALLY worth the detour into downtown Talladega AL to see The Ritz Theatre. Look at those great, shiny glass tiles- the geometric Aztec influence designs, fabulous neon facade and zigzag top? now THAT’s Art Deco! 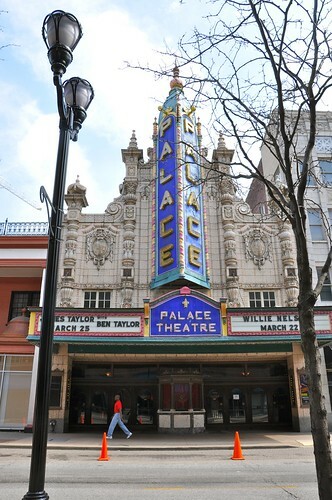 Talladega’s Ritz Theatre (circa 1936) is considered one of the best surviving examples of the Art Deco mainstreet theatres of the 1930’s. And I’m not about to argue that. 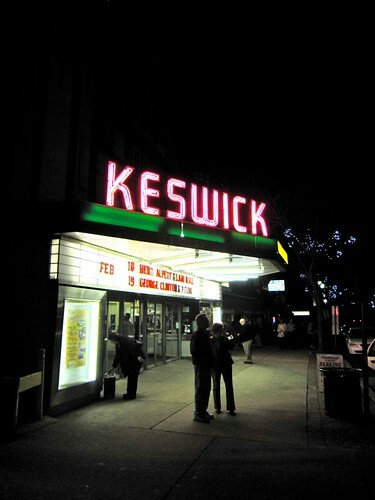 When looking for live entertainment we’re kinda lucky in the Philadelphia area to have a few vintage venues to choose from, and The Keswick Theatre in Glenside PA is at the top of the list! It’s a great place to see live music and shows of all kinds.